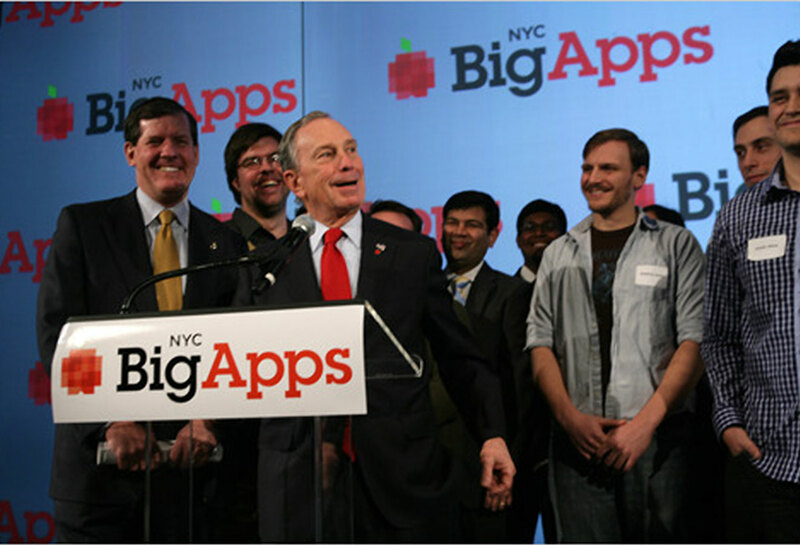 At an event held at the IAC Building on Thursday evening, Mayor Michael Bloomberg announced the 13 winners of NYC’s first mobile app competition which invited developers to submit applications using raw sets of municipal data released by the city in October of last year. The winners included WayFinder NYC – an augmented reality app which helps you find the nearest subway, Taxihack – which lets you post comments on taxis and drivers, and Big Apple Ed – which offers detailed info about the city’s public school system. Check-out all the amazing apps here: www.nycbigapps.com Kiss Me I’m Polish was honored to design the branding and website for this initiative. Congratulations to all the winners and participants! Read the New York Times’ coverage of the event here.